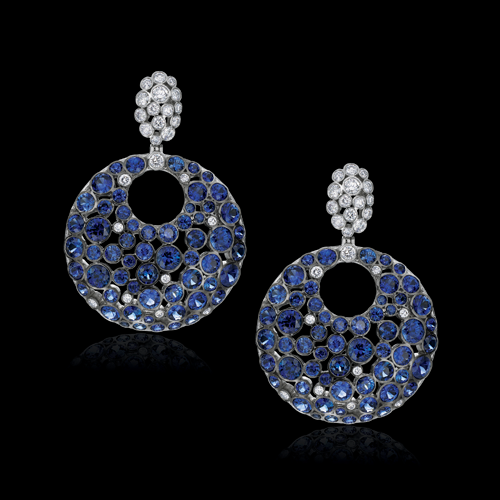 As we change our calendars to September, our sights are set on cooler weather, and on sapphires! Sapphires are known for their beautiful blue hue, but they can also be found in a variety of pinks, yellows, and oranges, even peach, green, and violet colors. These colors are referred to as fancy sapphire. One of the most sought-after fancy sapphires is the padparadscha. Its pink-orange coloration can be compared to that of a tropical sunset. Princess Eugenie, a cousin to Princes William and Harry, received an oval cut padparadscha sapphire ring for her engagement, bringing this rare gemstone into the limelight. 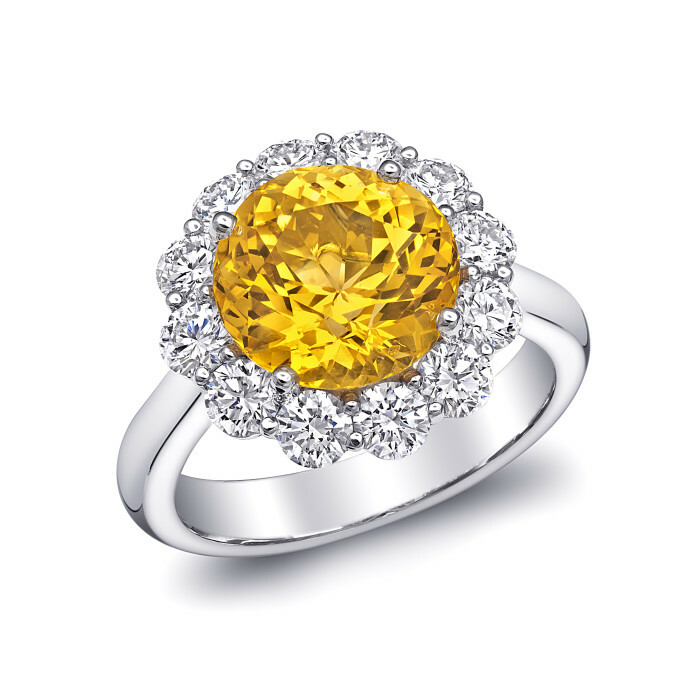 Padparadscha sapphire and diamond ring by Omi Privé. 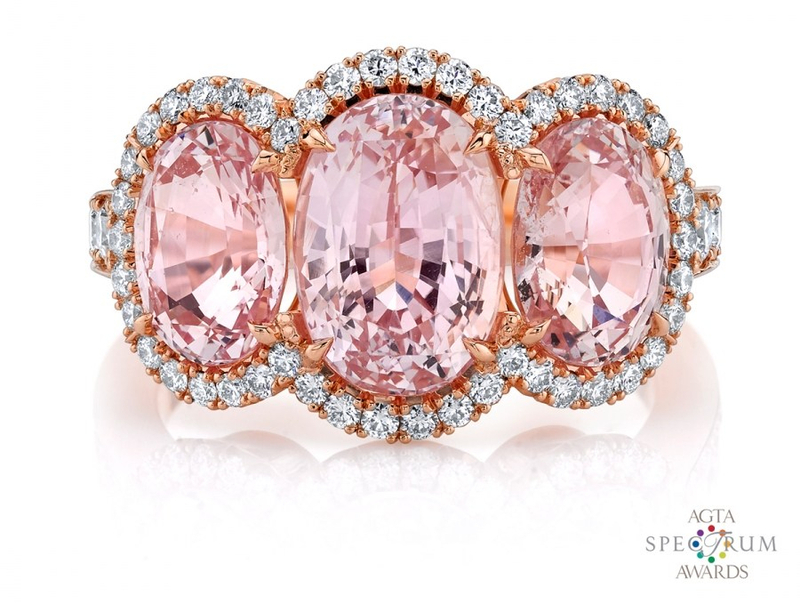 This ring is the AGTA 2018 Spectrum Award Winner. Sapphires can also display the celestial-like optical phenomena, asterism, adding the name “star” to this type of sapphire. 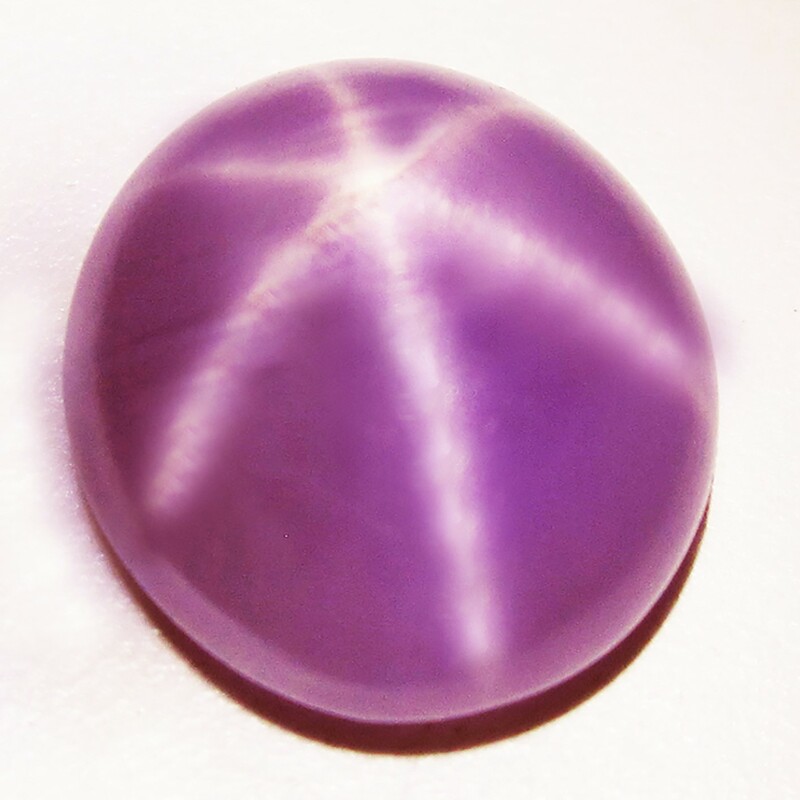 Pink star sapphire cut en cabochon, by Suna Bros.
September babies are lucky to have a birthstone that comes in a variety of colors! Below are a few images from American Gem Society (AGS) members that showcase the chromatically-gifted sapphire. To find an AGS-credentialed jeweler near you, click here! Blue sapphire and diamond ring, by Joshua J. Fine Jewelry. 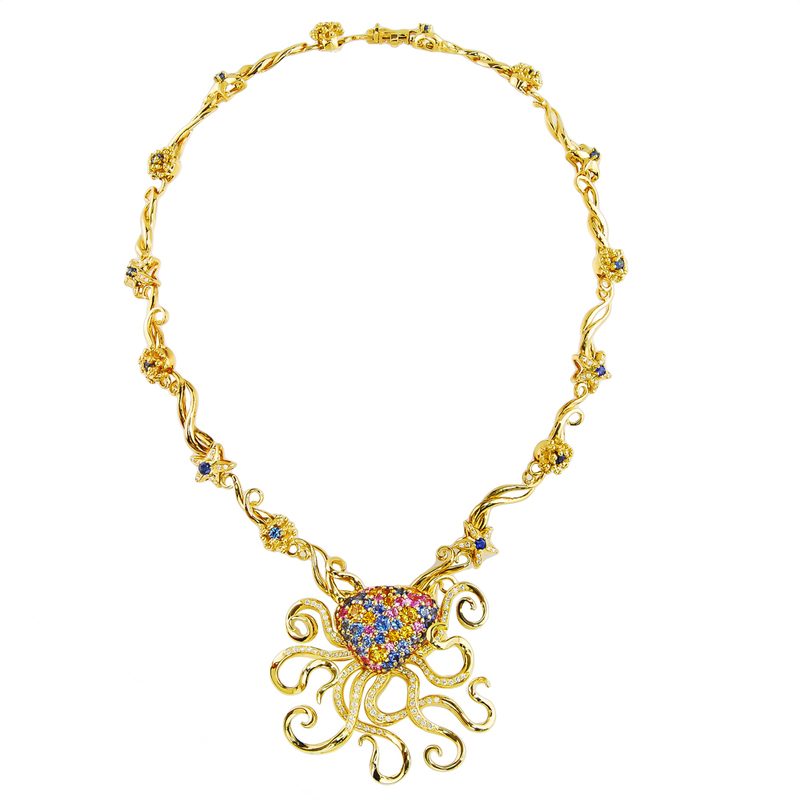 Multi-colored sapphire and diamond necklace, by Kaufmann de Suisse. Classique violet sapphire and diamond ring, by Coffin and Trout. 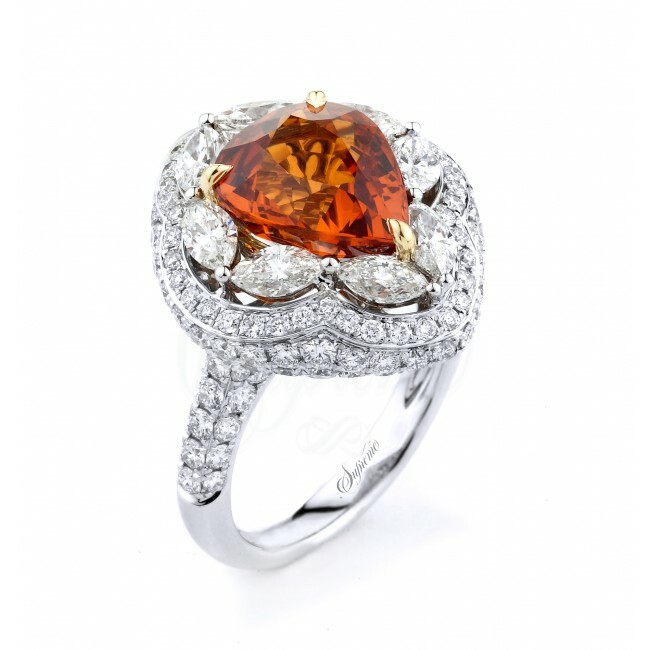 Pear shape orange sapphire and diamond ring, by Supreme Jewelry. 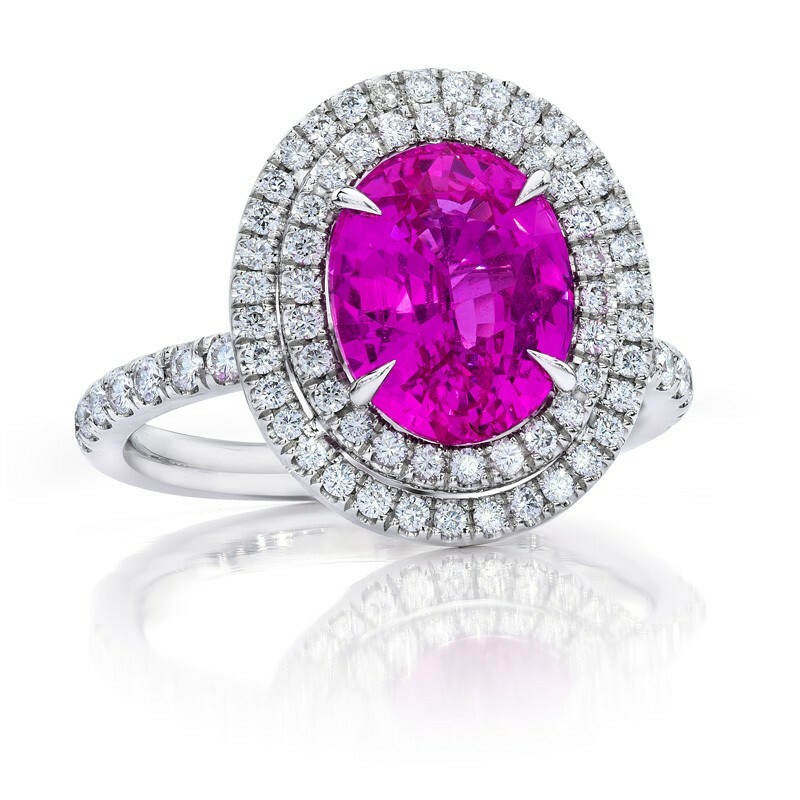 Oval pink sapphire and diamond ring, by Jeffery Daniels Unique Designs. 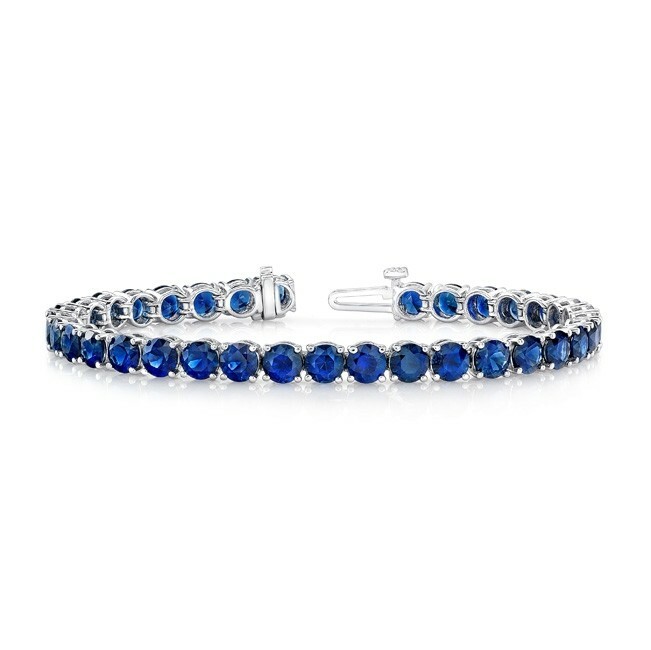 Round, blue sapphire bracelet, by Uneek Fine Jewelry. 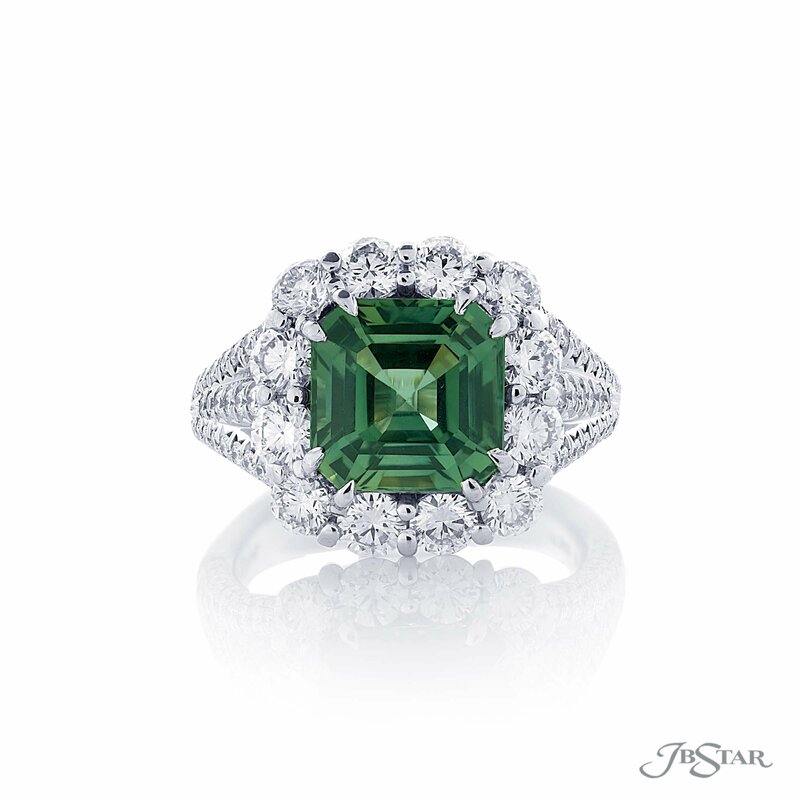 Emerald cut green sapphire and diamond ring, by JB Star. There are several varieties of gemstones that display optical phenomena, which describes the many ways light interacts with the structural features or inclusions (internal characteristics) in the gemstone. Often these gemstones will be fashioned in a particular way that best displays these effects. The science of optical phenomena can be fascinating, although the mystery and allure of these effects are what initially attract us! In this article, we’ll discuss six of the most familiar (and magical) displays of optical phenomena in gemstones. Adularescence is the phenomena typically seen in moonstone, which is a member of the feldspar family. 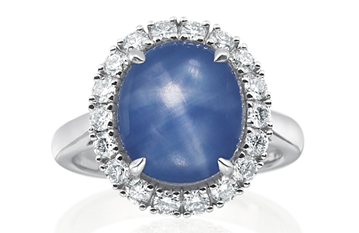 It produces a billowy soft blue to milky white light that appears to move across the gemstone. This occurs when light hits the alternating layers of albite and orthoclase, which are two differing forms of feldspar within the gem. The layers of feldspar interfere with the light rays causing them to scatter and the eye to observe adularescence. The effect is best seen when the gemstone is cut en cabochon [en CAB-ah-shawn]—that is, with a polished, domed top and a flat or slightly rounded base. Burmese moonstone ring by Michael Schofield & Co.
Moonstone and diamond ring by United Color Gems. Asterism, or stars, relates to the four- or six-rayed star pattern of light produced by the fibrous inclusions, elongated needles, or growth tubes in a gemstone. This singular, celestial-like phenomenon is best seen in a gemstone cut en cabochon. Blue star sapphire by Suna Bros. Pink star sapphire by Suna Bros.
Chatoyancy [sha-TOY-an-cee] is also known as “cat’s eye.” Fine needle-like or fibrous inclusions within the gemstone are what causes this effect. Again, stones fashioned as cabochons display this effect the best. Tiger Eye and diamond ring by NEI Group. Cat’s Eye indicolite tourmaline and rubellite ring by AG Gems. A small number of gemstones display the color change optical phenomena. Depending on the lighting environment, the color change appearance can vary due to the shifting wavelengths. The technical term for this is photochromism or photochroism; “color-change” is a lot easier to say! 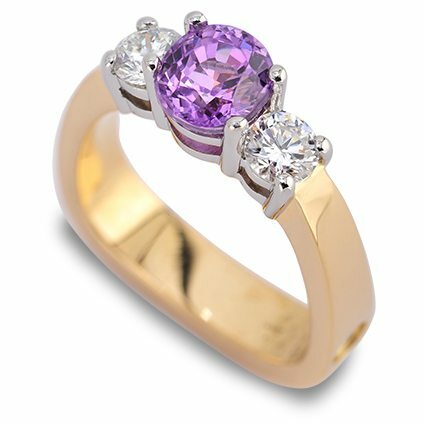 The best-known color changing gemstone is alexandrite. When viewed in sunlight, it appears greenish. When placed under incandescent light, it appears reddish. Other varieties of color-changing gemstones include sapphire, garnet, spinel, diaspore, and tourmaline. Alexandrite cats’ eye framed by alexandrite and diamond ring by Omi Prive. Alexandrite and diamond ring by Takat. Labradorscence [lab-ra-dor-es-cence] is an optical characteristic often seen in labradorite. The effect is a spectacular play-of-color that is metallic or iridescent, displaying blue, green, red, orange, and yellow. This is an interference effect within the gemstone caused by internal structures that selectively reflect only certain colors. Labradorite ring by Lika Behar Collection. Labradorite pendant by Lika Behar Collection. Play-of-color is created by a combination of diffraction and interference and is the result of the microstructure of opal: the chameleon of a thousand colors! Opals are made up of many layers of small, stacked spheres of silica. These spheres diffract light, splitting it into a spectrum of colors. The layers of these spheres create interference allowing certain colors to dominate, depending on the angle the opal is viewed. Black opal and diamond ring from Lightning Ridge Collection by John Ford. Australian black opal and diamond ring by Parle. Are you ready to see some of these displays in person? Visit a credentialed AGS jeweler near you and ask to see some gemstones that exhibit optical phenomena! It’s election day in the USA! Months of election coverage culminates as America heads to the polls. We wanted to pay tribute to this important occasion in our own way: with red, white and blue jewelry designs from members of the American Gem Society (AGS). These beautiful pieces get our vote! 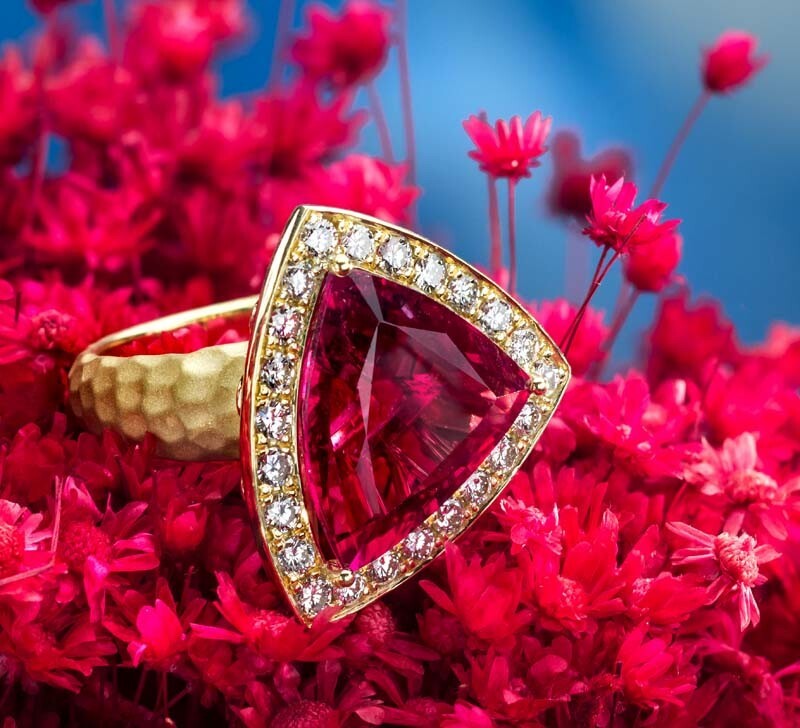 Let’s begin with some bright and cheery red gemstones. Rubies naturally come to mind, but when it comes to red hues—there are many varieties of gemstones to choose from. A triangular rubellite set in 18k hammered gold, framed by bead set diamonds. 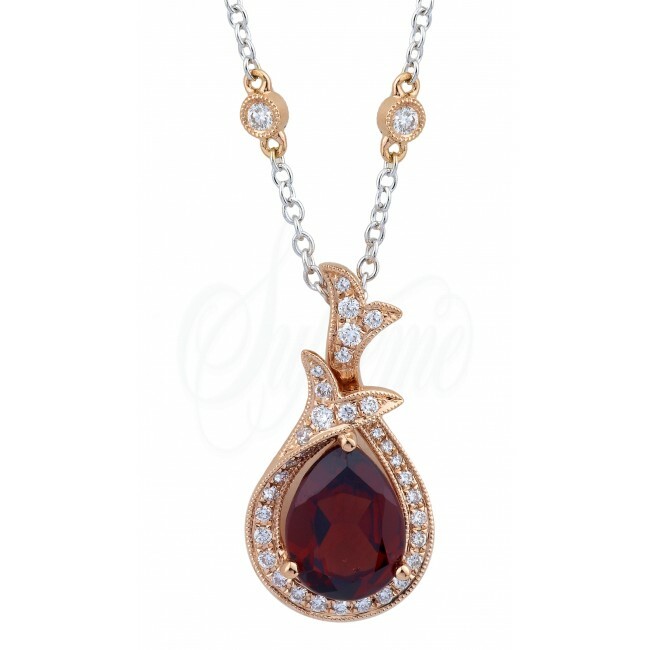 A red garnet pendant set in 18k rose gold framed by white diamonds. 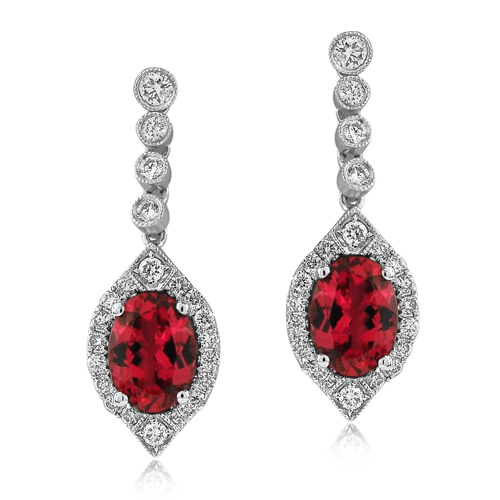 Oval shaped red spinel earrings set in 18k white gold with white diamonds. The color white has long stood for innocence, purity…and a color you’re not supposed to wear after Labor Day. But we all know diamonds and pearls can be worn any season! 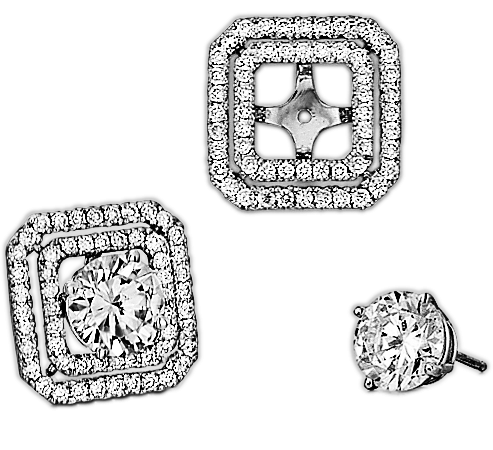 These diamond earring jackets will give a simple diamond stud a little more oomph. The perfect balance between modern and feminine. 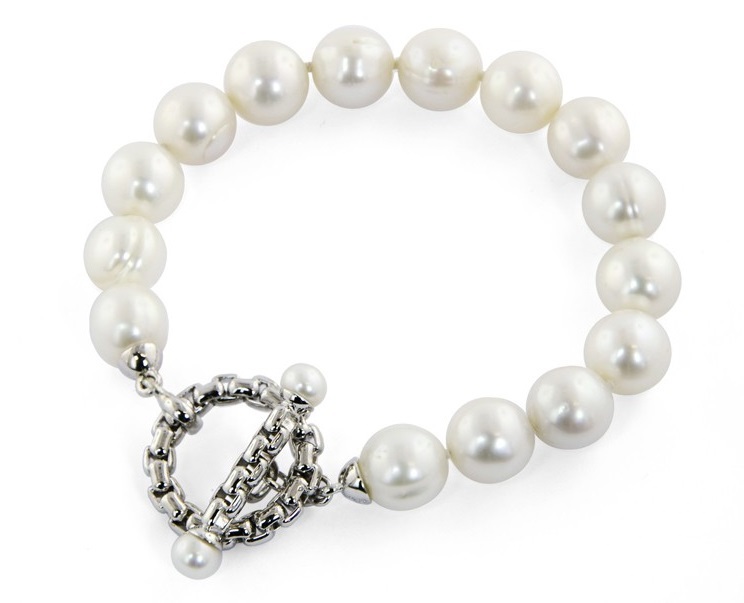 White freshwater cultured pearls and sterling silver bracelet. 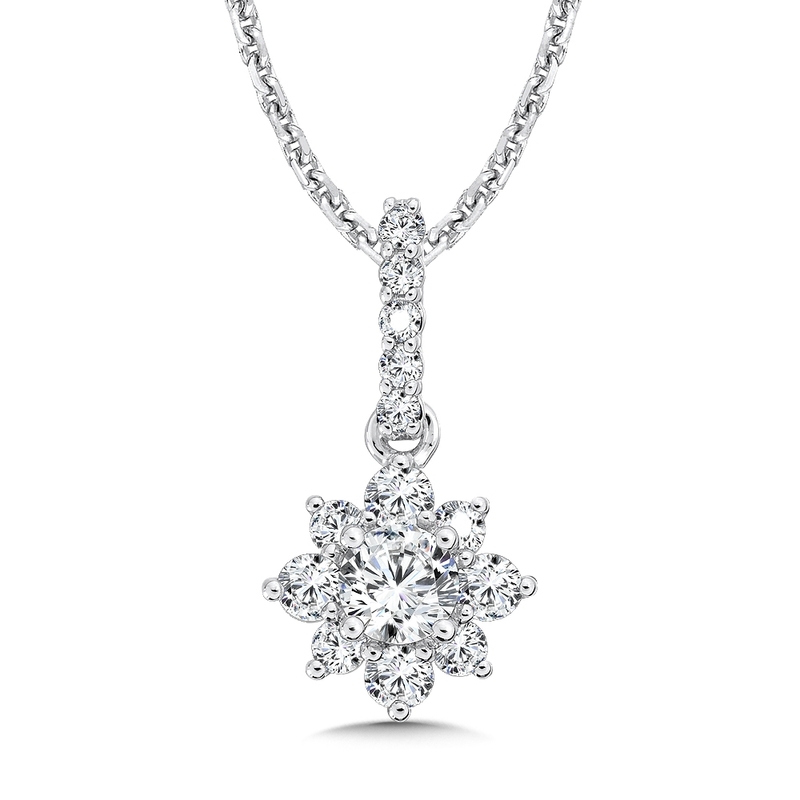 Floral diamond pendant with a diamond bale, set in 14k white gold. 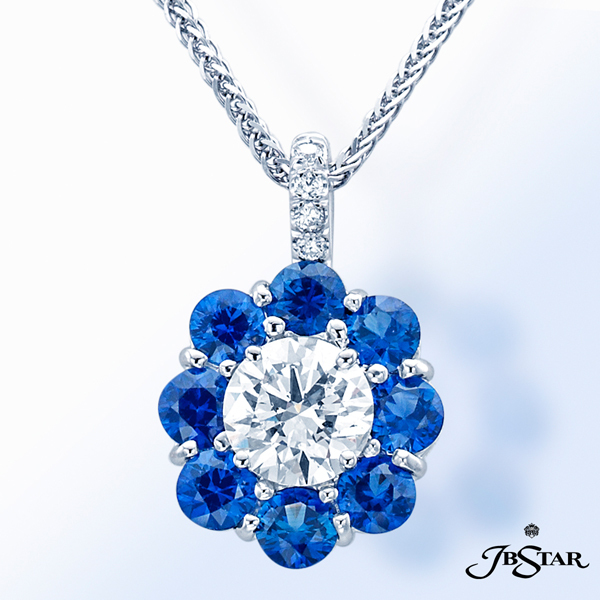 We can thank Mother Nature for some truly beautiful, truly blue gemstones! Be true blue with these wonderful designs! 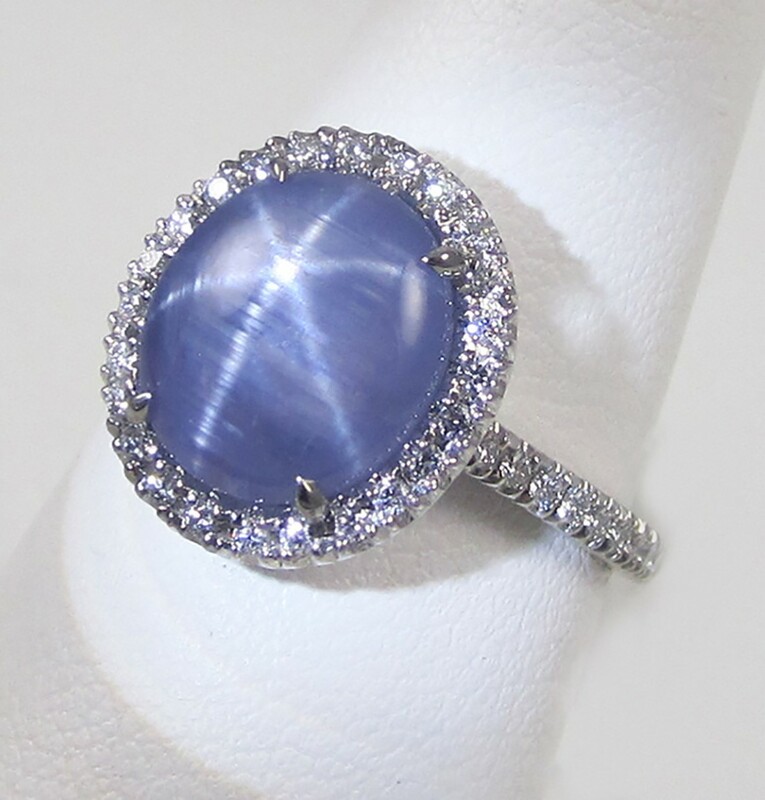 Star sapphire cabochon halo ring with round brilliant diamonds. Tanzanite Round Stack earrings in 18k yellow gold. Platinum pendant featuring a round diamond center encircled with perfectly matched round sapphires and pave accents. No matter how you vote, when you choose to shop with a trusted AGS jeweler, you’re voting for a winner! Click here to search for an AGS jeweler near you. As we turn our calendars to September, we start thinking of things like heading back to school, indulging in a pumpkin spice latte, and planning our fall fashions. 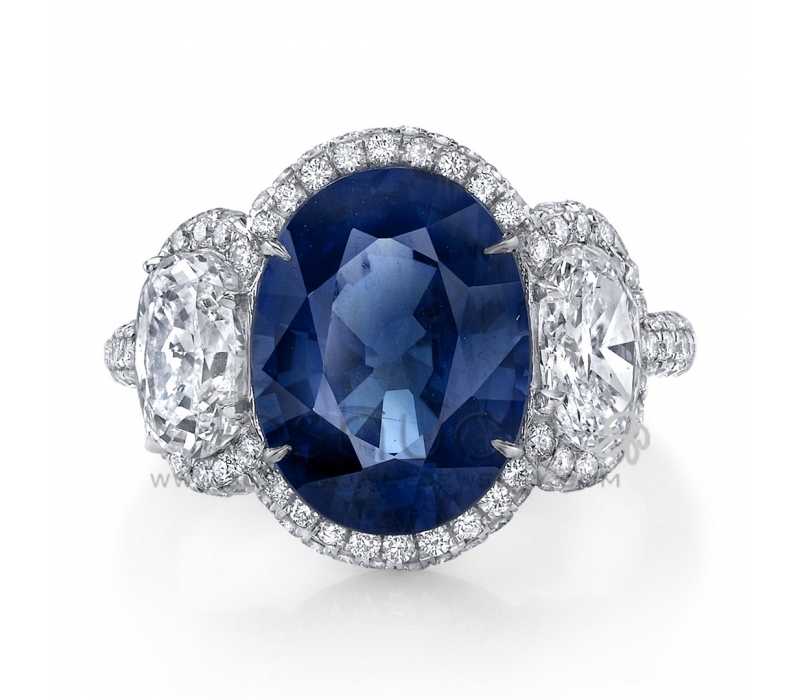 For those celebrating a birthday in September, they’re thinking of their birthstone: the sapphire! Although sapphire typically refers to the rich blue gemstone variety of the mineral corundum, this royal gem actually occurs in a rainbow of hues. Sapphires come in every color except red, which would then be classified as ruby. Due to the remarkable hardness of sapphires—which measure 9 on the Mohs scale, second only to diamond—they aren’t just valuable in jewelry, but also in industrial applications including scientific instruments, high-durability windows, watches, and electronics. Sapphires make stunning gifts for anyone born in September or celebrating a 5th or 45th wedding anniversary, so be sure to visit an AGS jeweler. They will help you find that perfect gift, whether you’re seeking the classic blue or another shade from the sapphire rainbow. Need some inspiration? View this collection of designs featuring the sapphire! 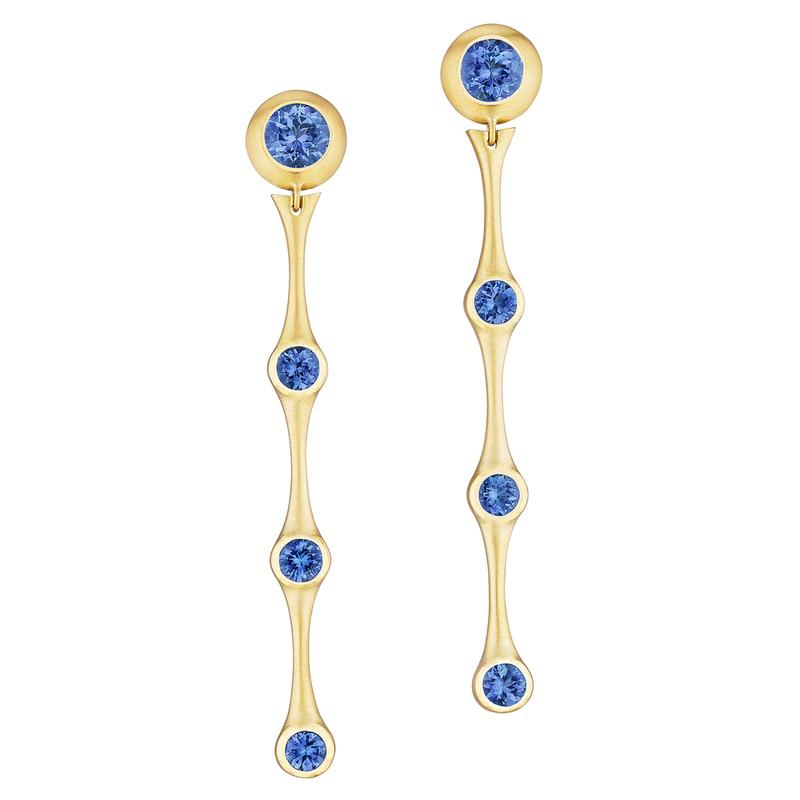 The Whirl Sapphire Bangle by Carelle is 18k yellow gold with 1.06ct sapphire. 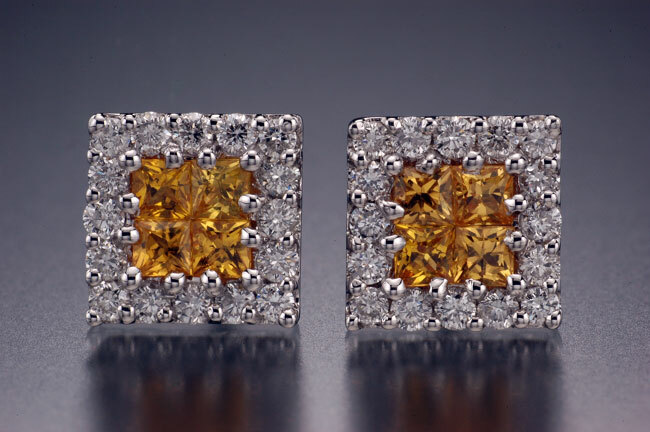 Yellow sapphire and diamond earrings by Michael Schofield & Co.
Sri Lankan sapphire earrings mounted in platinum and framed by diamonds, by Setaré. 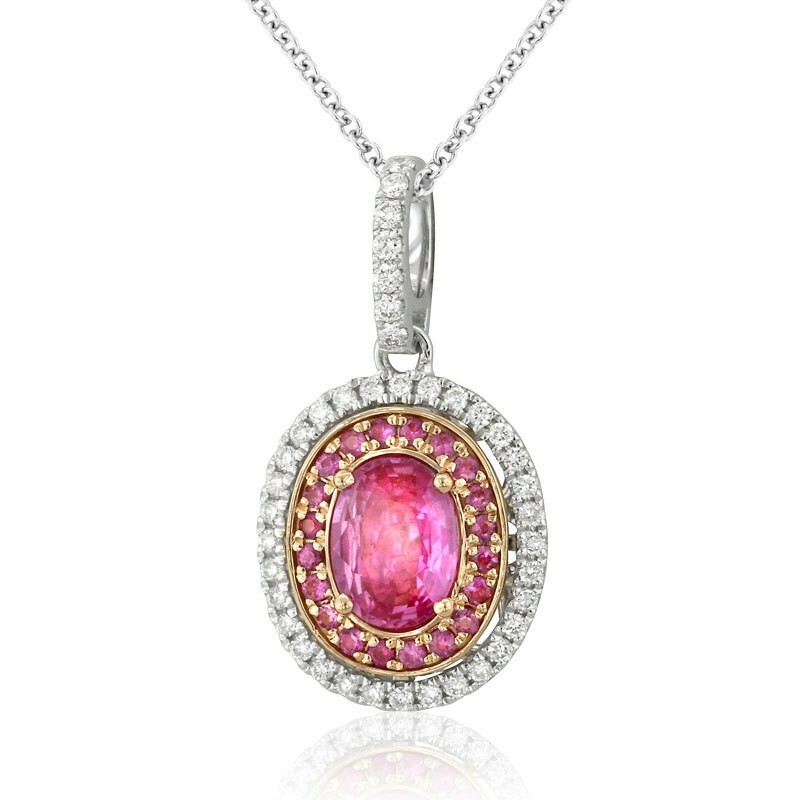 Yael Designs’ two-tone 18k gold pendant featuring a 1.59 carat pink sapphire, framed by pink sapphires and ideal cut diamonds. 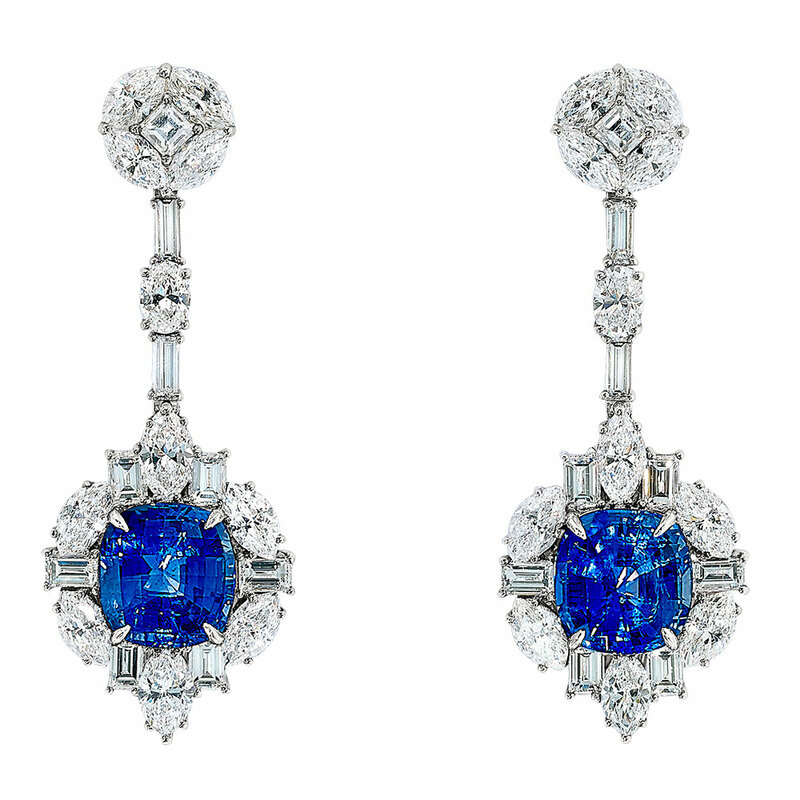 Gumuchian’s Cloud 9 earrings are 18kt white gold set with blue sapphires and diamonds. 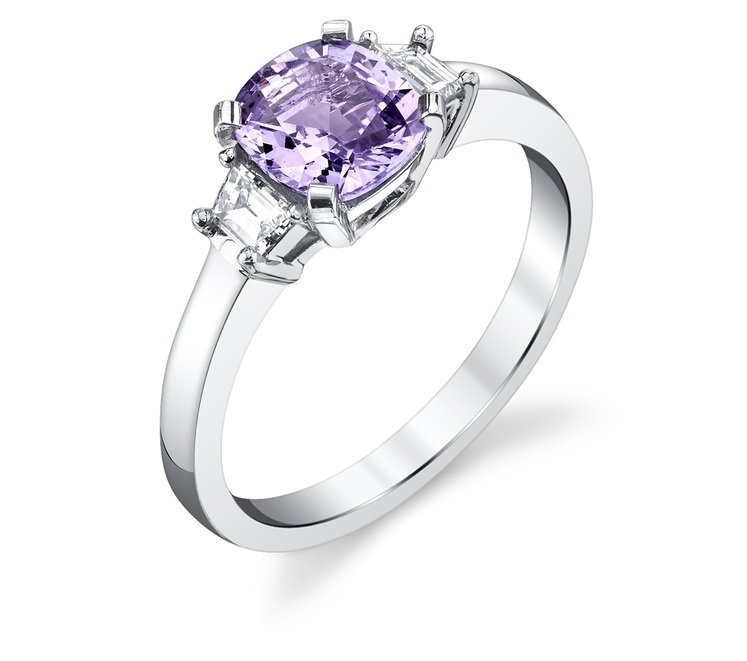 Lilac sapphire ring designed by Ricardo Basta Fine Jewelry. It’s surrounded by two diamonds and set in platinum. Star sapphire surrounded by diamonds, designed by Suna Bros.